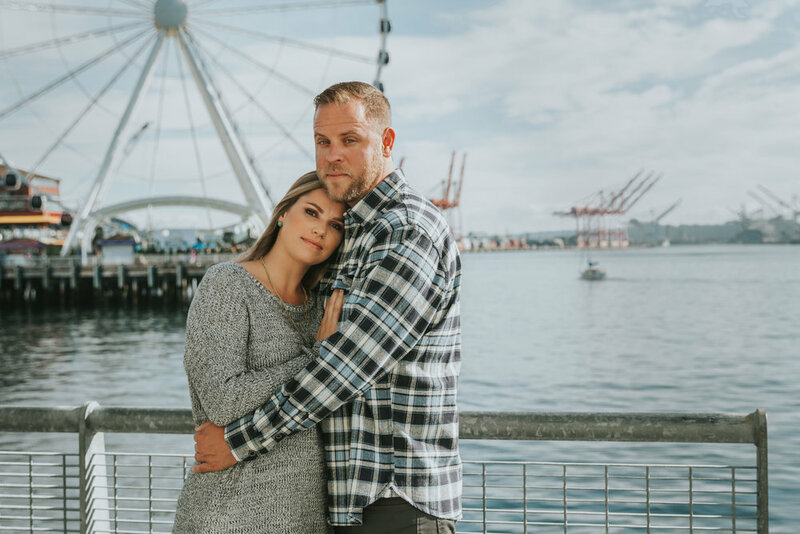 Engagement sessions are like the pre-party before the main event. People show up nervous or unsure of what to do, maybe need to have a drink to take the edge off, then they slowly settle into their groove, and like that, magic happens. 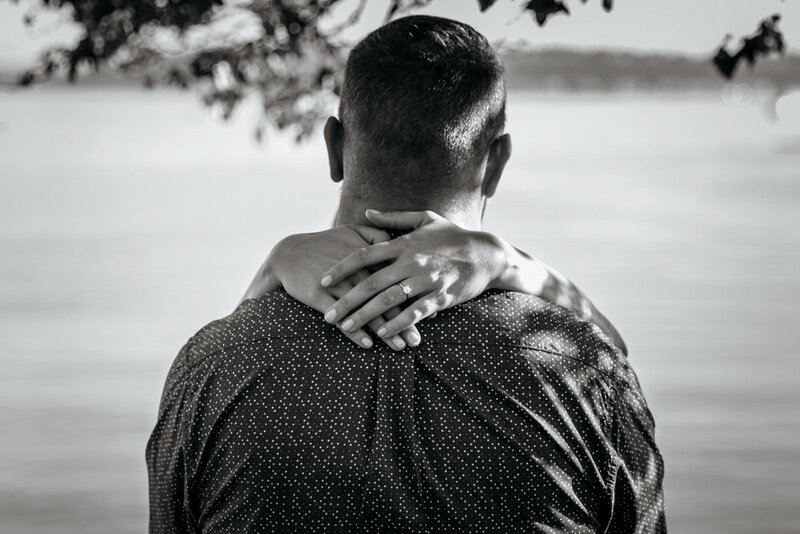 Alyssa and Ben are one of those couples whose paths crossed early in life, but it wasn't till 10 years later they really took noticed of each other. 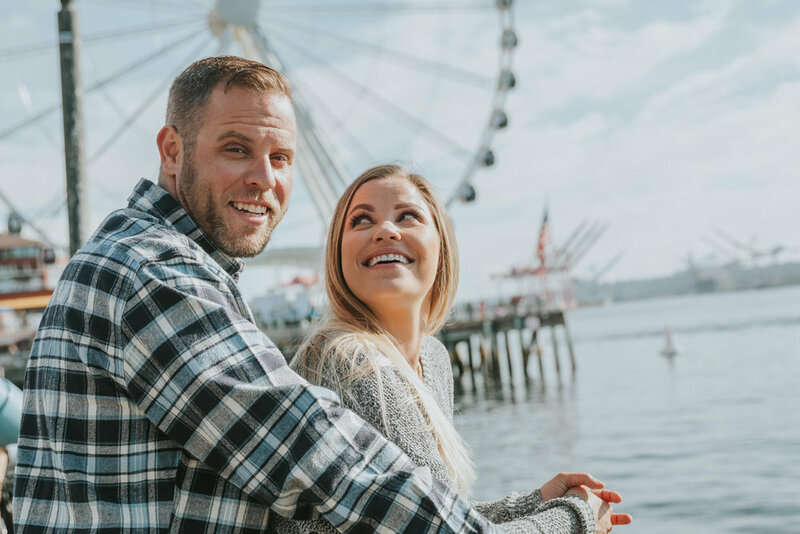 Alyssa remembers Ben from middle school where they met on the ski bus going to crystal mountain. While a connection may not have sparked at age 12, it certainly did 10 years later one night in her favorite bar at Crescent Bar. I'm assuming that night they couldn't take their eyes off each other because they haven't gone a day without talking since, 6 years later. 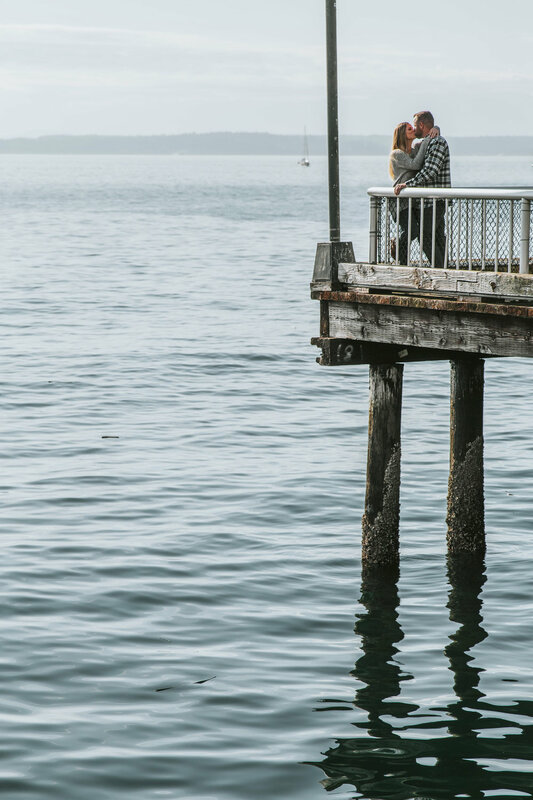 Neither her or Ben have lived in Seattle for the last 5 years, but they wanted to get married where they grew up. 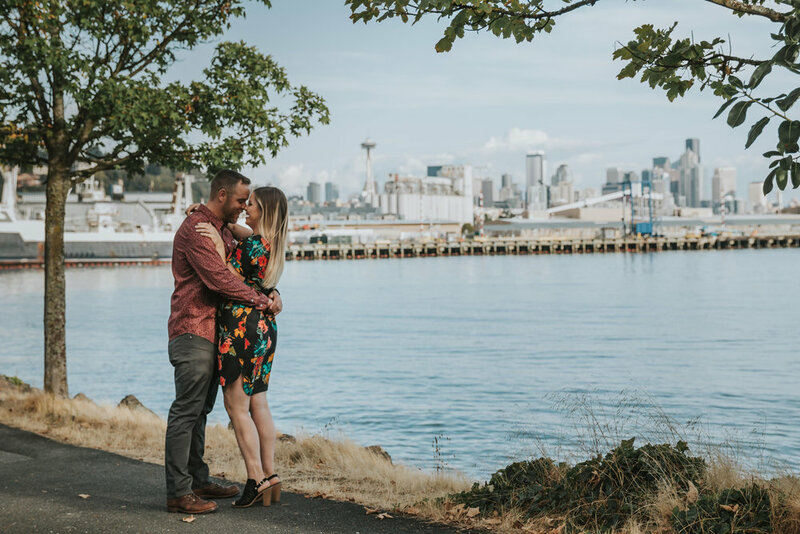 I wanted the engagement shoot to be memorable and remind them of home, so Seattle it was. And if I say so myself I think we killed it with the Seattle thing. And because they know how to have a good time they picked NYE to get married, the perfect day to throw a massive party. I can't wait to be there for the vows, toasts, dancing and cheers while we all ring in the new year.